[brainlinemilitary - A service of brainline.org] [Anand Veeravagu, MD - Neurosurgeon, Stanford University, White House Fellow, Dept. of Defense] The military medical community has gotten very good at being able to triage patients appropriately. And from what I can tell, it has become very important to get the service member as close to home as possible, especially if they have a veterans hospital that's capable of caring for them. So as patients come back from theater—say they're coming back from Afghanistan— their first stop will often be Landstuhl Regional Medical Center, which is in Germany. From there they will fly to Andrews Air Force Base, and decisions have already been made as to whether that service member can continue on to their local VA or if they need treatment at Walter Reed. And so in most cases, if patients can go home and get closer to their families and their friends, it appears that the military is very active about making sure that happens. The benefit of having a service member close to home is that the family members can really participate in some of the recovery that the service member is going through, whether it's rehabilitation or other medical treatments, without having to necessarily leave their jobs or leave their children to be in another city. As a physician, I've been able to see this have a significant effect on how people recover. I think, number 1, it's always nice to have family and friends around, especially when you're coming back from a very anxiety-provoking environment, and secondly, it enables people to be able to get to their rehabilitation appointments, to make their medical and their doctors' visits, and I think that all contributes to the healing process. Dr. Anand Veeravagu discusses how being at or near home, close to family and "regular" life contributes greatly to the healing process of service members and veterans with TBI and other injuries. See more video clips with Dr. Anand Veeravagu. Posted on BrainLine October 21, 2013. Anand Veeravagu, MD is a neurosurgeon in training at Stanford University School of Medicine. He is a former White House fellow and special assistant to Secretary of Defense Chuck Hagel. 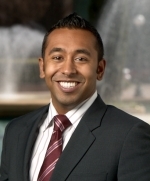 He previously served as chief neurosurgery resident at the Palo Alto Veterans Affairs Hospital.